Luxurious and spacious villas surrounded by nature, a turquoise water beach, infinity pool, the iconic 16th hole of the Fazio-designed Ocean Course, amazing decks and just 30 minutes away from the capital. This is Ocean Sixteen: an extraordinary private community in Puerto Rico located at the Rio Mar Beach Resort and Spa- a Wyndham Gran Resort. A United States investor's dream that can became true through attractive incentives provided by local government and developers. With 87 luxury oceanfront condos designed with a Mediterranean and European style; Ocean Sixteen has a lot to offer. Every villa and the penthouse have 1,646 to 4,145 square feet, kitchens with granite tops, ample master baths, marble showers and sink and large balconies with beachfront views. Moreover, every resident can enjoy fabulous recreational facilities including the Owner's Lounge, a private wine cellar and storage area for watersports equipment and all the Wyndham resort facilities including golf courses, an International Tennis Center, Mandara Spa, Fitness Center, restaurants, lounges and entertainment venues. This is the perfect moment to join the Ocean Sixteen community. In addition all U.S investors can apply for the benefits that Puerto Rico has to offer through the Individual Investors Tax Act (Act 22) and The Export Services Act (Act 20). Act 22 is designed to provide high-net individuals a 100 percent tax- exemption on dividends and on long-term capital gains. 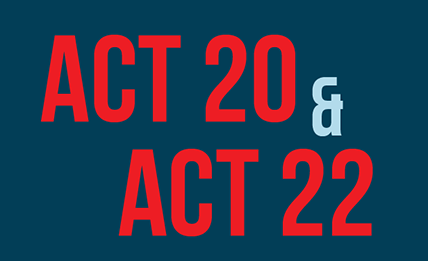 Act 20 offers business incentives in order to establish Puerto Rico as an international service center. The Export Services Act provides a corporate income-tax rate at a flat 4% on earnings and 100% tax exemption on dividends. Also with Law 68 potential buyers can purchase new residences, without paying property taxes for five years, and without capital gain taxes, among other benefits. As a U.S. territory with fiscal autonomy, federal taxes do not apply to individuals or corporations. It's the right time to move to Puerto Rico and live in a Caribbean luxury dream condo at Ocean Sixteen in Rio Mar. Don't miss out on this great opportunity. For information call 787-593-9949.